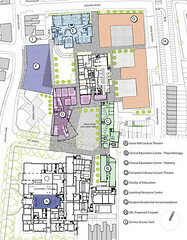 Our initial brief for the University of East London was to develop a new master plan for the Redevelopment of the Stratford Campus to improve the current facilities and provide new teaching accommodation, student facilities and residential accommodation as well as addressing the wider urban context and issues of the existing disjointed urban environment. 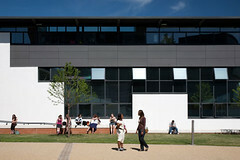 This was supported by the planning authority and approved without significant objections, and a disputed right of way issue with local residents resolved amicably. 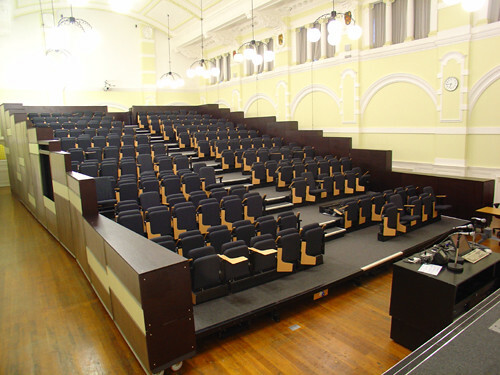 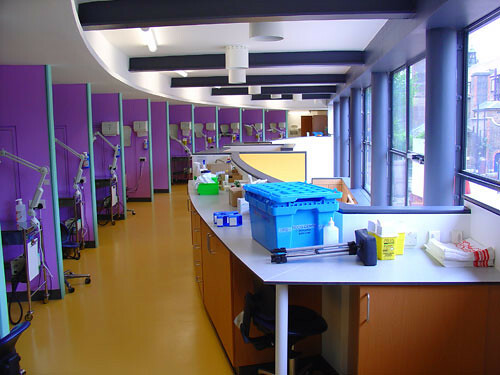 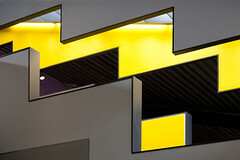 Our completed projects for the University include a new Lecture Hall, new Bio-sciences Laboratories, a new Clinical Education Centre, a new Computer Library/Lecture Theatre and Education Facility as well as a new Learning Resource Centre. 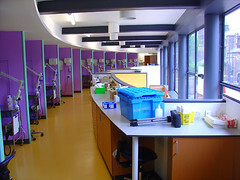 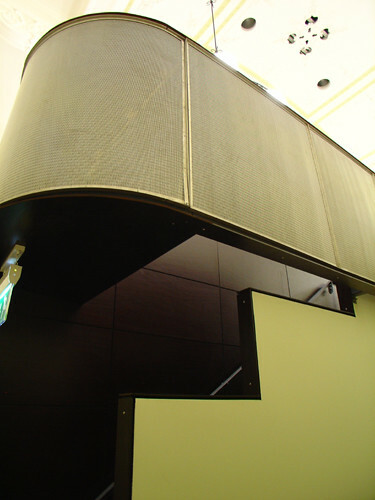 Two of these projects were within a listed building and English Heritage took a keen interest in these projects. 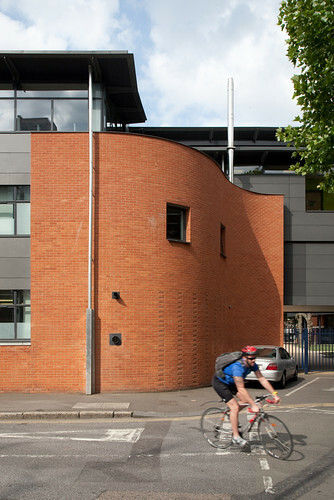 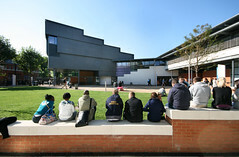 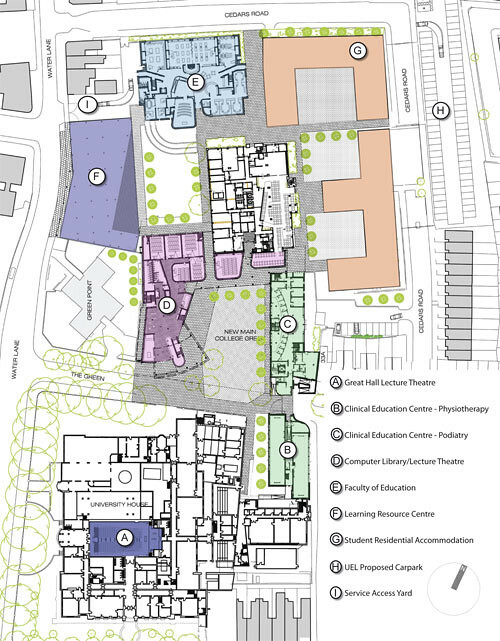 Our masterplan response for the site responded to design and site constraints, answered all of the strategic issues of the brief including new accommodation, circulation, arrival, security, public image and importantly succeeded in transforming the perception of the campus from “buildings” into “a place.